We are committed to nutritionally cooking and baking seasonal from scratch with all-natural products and organic when significant while sensibly introducing the children to diverse ethnic food, flavors and tastes. 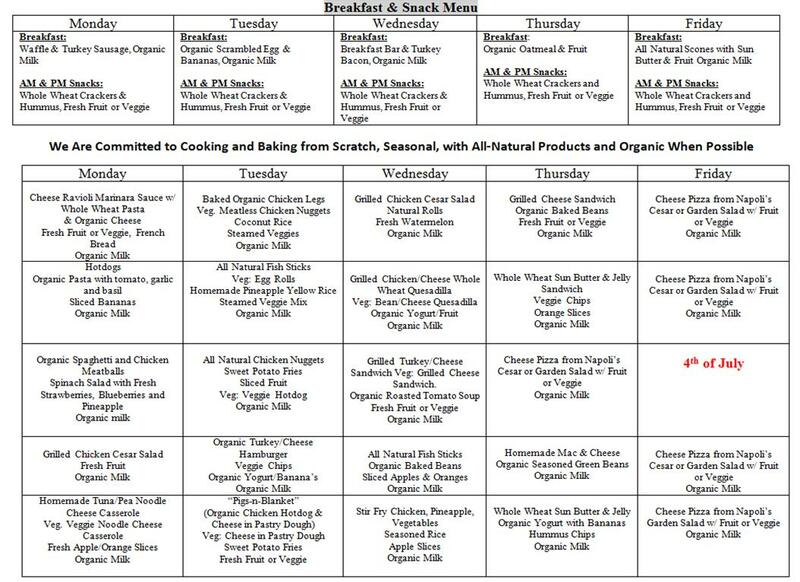 It is our goal, whenever possible, that every vegetarian, vegan, dairy-free and gluten-free friend is prepared the same menu item(s) using a suited alternative in accordance to their nutritional needs. The mission statement is our guiding light, our constitution; what keeps us in focus and remind us why we are in the business of nurturing children. The mission statement was carefully written to be concise, using simple words to convey our nutritional system of belief in order to stay true to ourselves when prices go-up, when things get “tight”, or when cutting corners seems an easy way out. The nutritional mission statement makes it easy to tell right from wrong. Knowledge is power and an investment in knowledge pays the best interest. In future blog articles we will empower you with unbiased nutritional knowledge, differentiating truths from myths by emphasizing our nutritional mission statement. 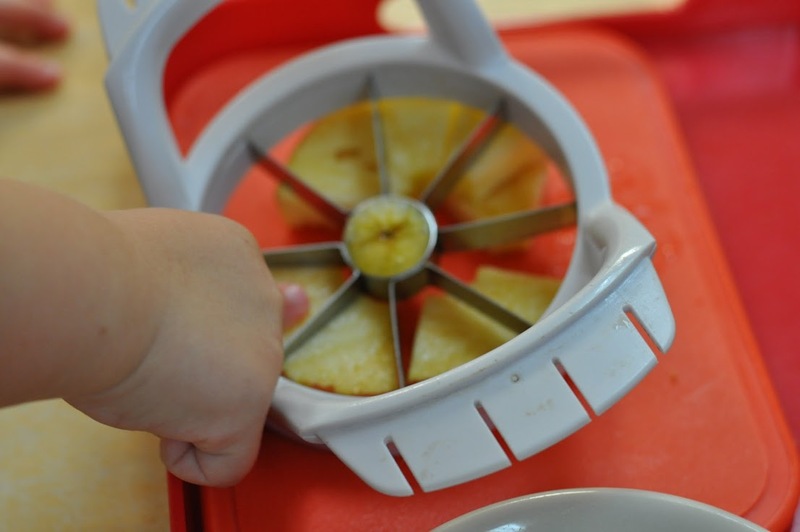 The book, Kids In The Kitchen, is an excellent resource for both parents and educators by offering simple ways of incorporating individual food preparation for your toddler or primary aged child. This book does an amazing job providing practical ways to bring cooking into your child’s environment; providing lists of needed items, suggestions of storage, how to create a food preparation area, and recipes to try. I encourage all who work with or have children to purchase. 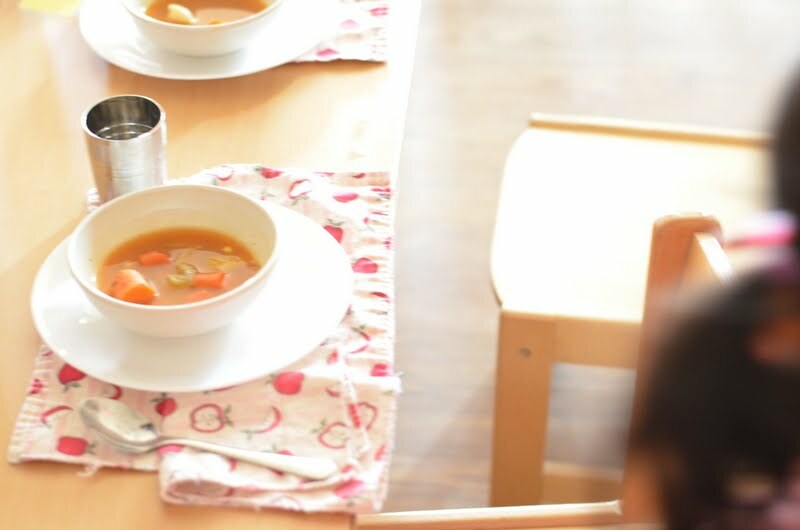 In our community, children are encouraged to help prepare food for the class, including vegetable cleaning and peeling, baking muffins and banana bread, and even preparing vegetable soup. 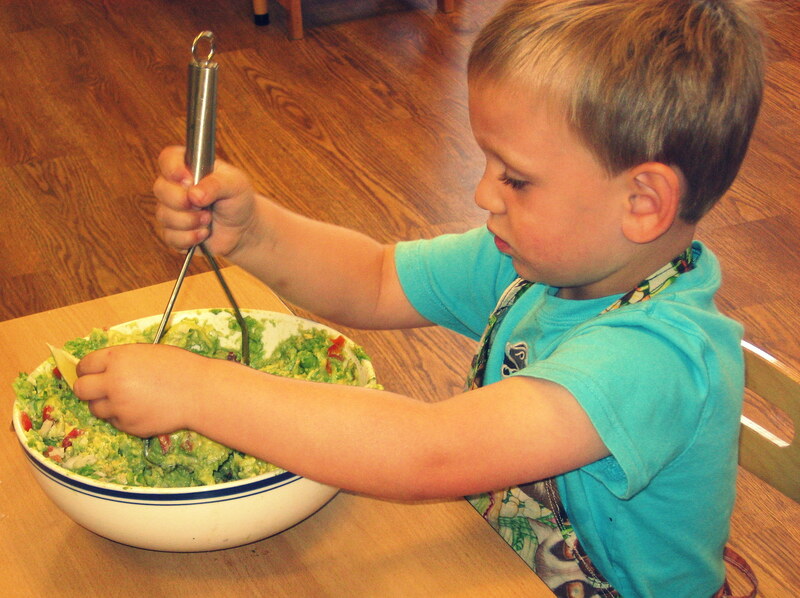 Cooking as a community has benefits on so many levels; children learn to collaborate with one another, follow along with a sequence of directions, share each others’ thoughts and ideas, and learn how to be an efficient community member. Pictured here is the product of the hard work of our primary community. 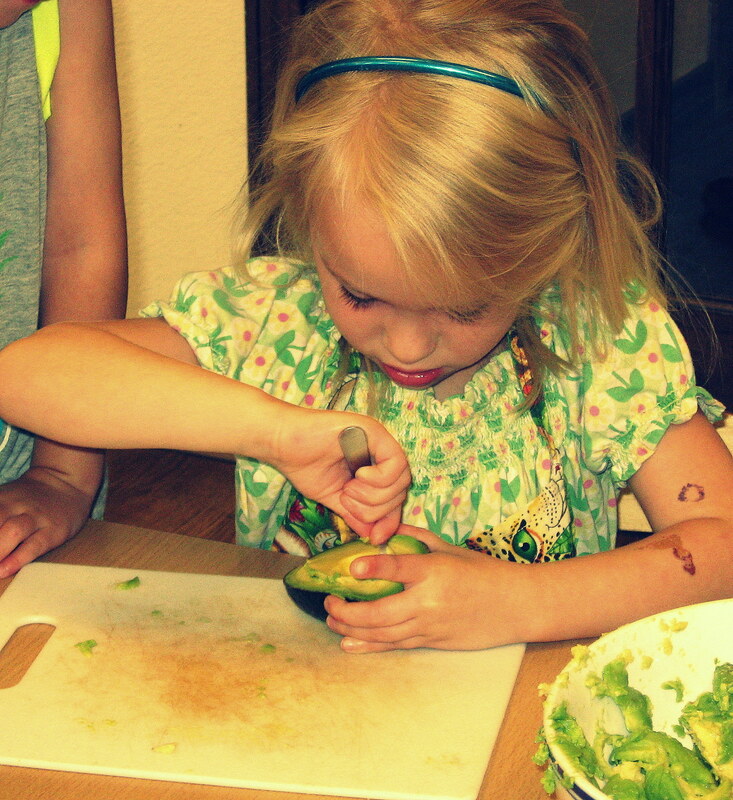 We started with fresh, ripe avocados, passing them around for everyone to feel and smell. Then we cut them, along with tomatoes, onions, and a few other favorite herbs. 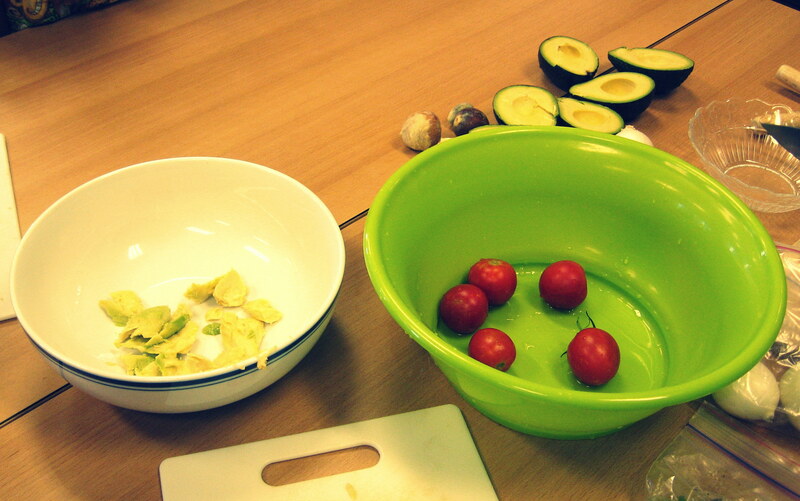 Once the vegetables were combined, we took turns, one at a time “mashing” them together into a gooey, green paste. Mix all of the ingredients together, and mash/puree to your liking. 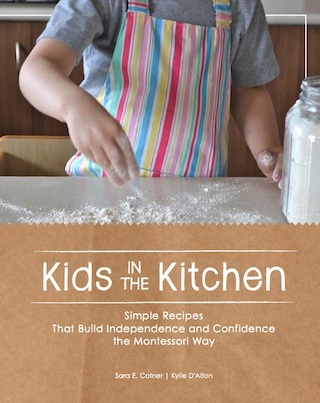 For more tips and ideas on how to incorporate food preparation in your own kitchen, I would recommend reading Kids in the Kitchen, a favorite reference for many of our HBMH Guides. 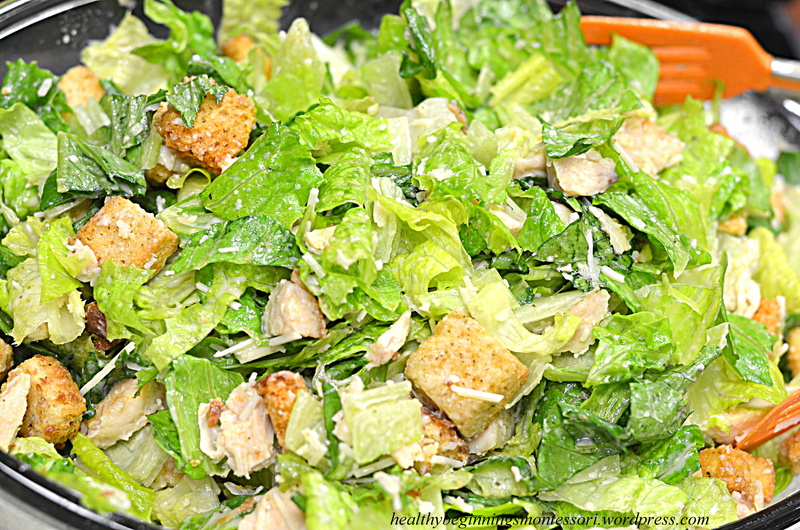 Chef’s Corner: What’s for Lunch? When it comes to meal times and snack preparation, everything that is served to our children has to have a nutritional value of some kind. 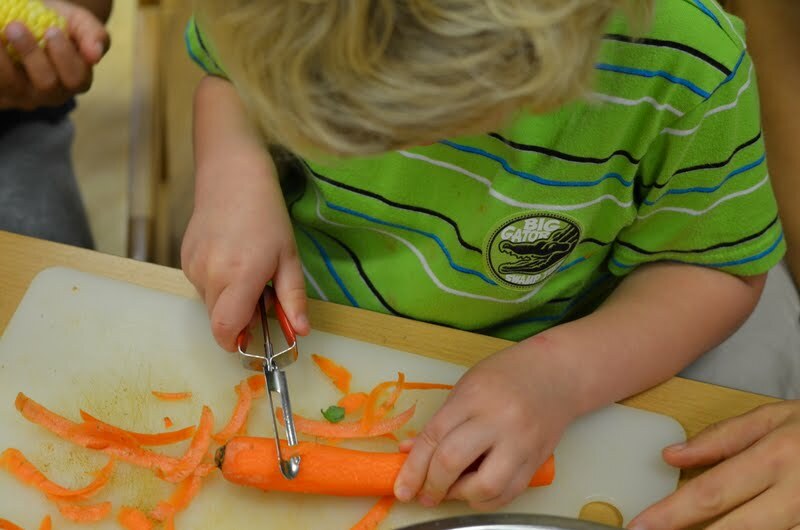 We are committed to nutritionally cooking and baking seasonal food from scratch with all-natural products and organic when significant while sensibly introducing the children to diverse ethnic food, flavors and tastes. 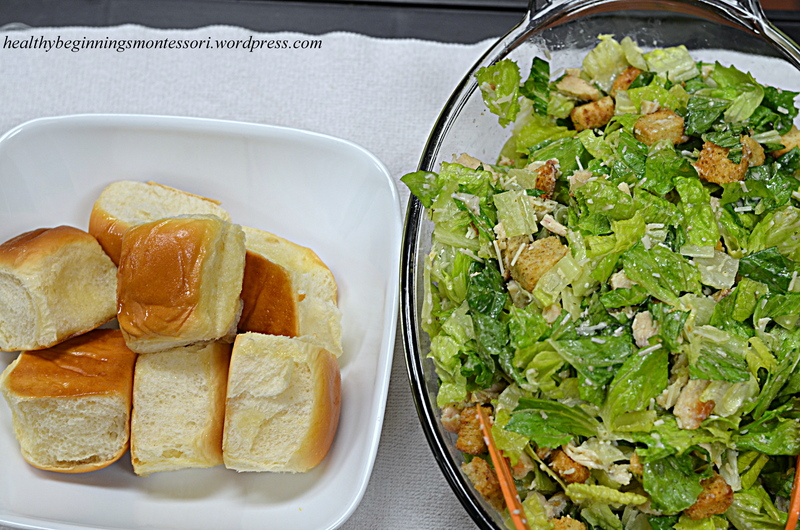 Today, our very own Chef Tami (Owner, Director, and Montessori Directress of HBMH) whipped up an extra special meal of grilled chicken caesar salad with fresh fruit and warm dinner rolls. Yum! 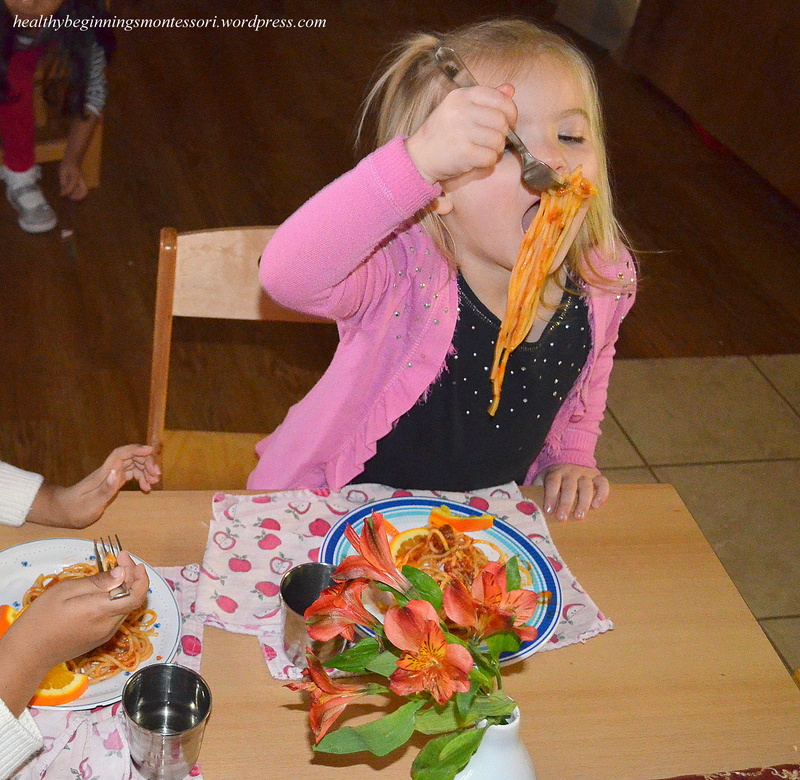 For our younger friends, marinara pasta with chicken and steamed carrots was served. 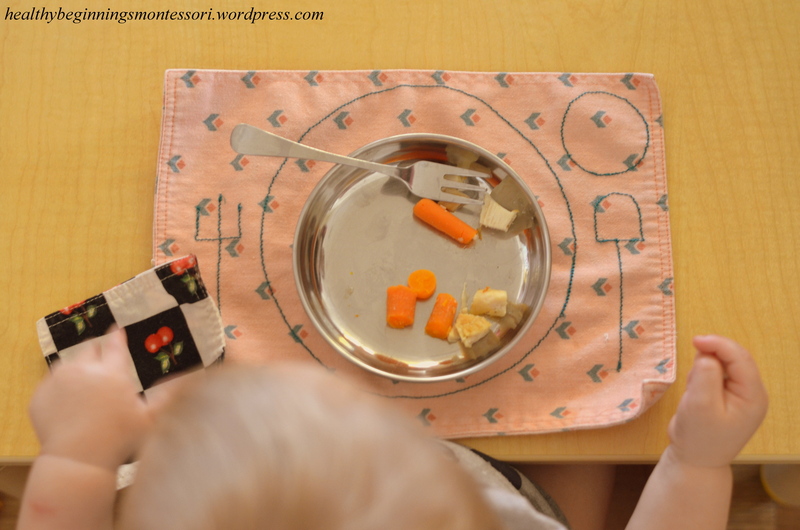 This is definitely a favorite amongst our community; many of the children ask for seconds (and even thirds). 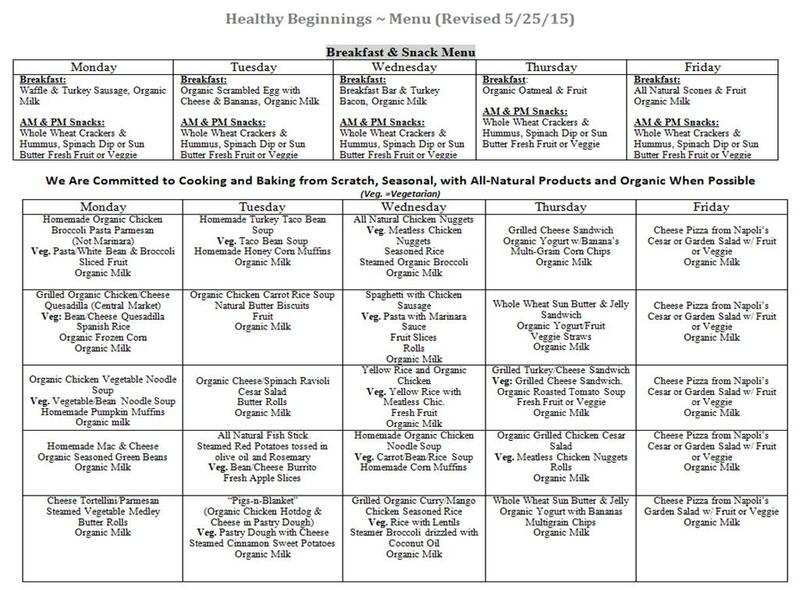 By providing daily healthy meals such as this, we’re empowering our children to get the best “head start” to their lives, while building a strong, nutritional diet that lasts a life time. Children know when their work is worthy and good. They know when it measures favorable against their inspirations, talents, efforts, values, and abilities. They learn to assess themselves and their ideas honestly. On this particular day, our Apple Community members came together, collaborated, analyzed, and assessed what needed to be done. While collecting and preparing, they showed initiative and adaptability. As a team, they had to effectively communicate and solve problems. A couple of our older community members quickly assumed a leadership role. It was incredible to observe the delegation, resourcefulness and cooperation taking place. What impressed me the most while watching these students was the respect, compassion and consideration for one another. Chef’s Corner: What’s on the Menu Today? 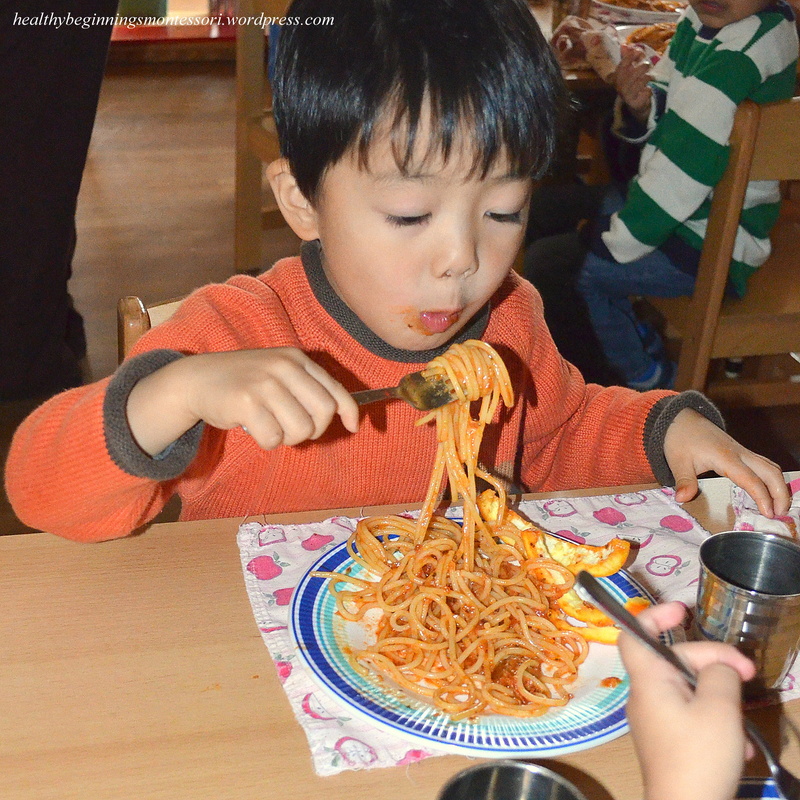 The delicious aroma of home-cooked spaghetti filled the halls this morning as we prepared for lunch time. Ms. Tami, our honorary Chef (Head of School, Owner and Directress) was busy all morning boiling noodles, slicing fresh vegetables and fruits, sauteing Italian sausage, in addition to a large pot of organic vegetable tomato sauce made from scratch. Lunch time could not come soon enough! 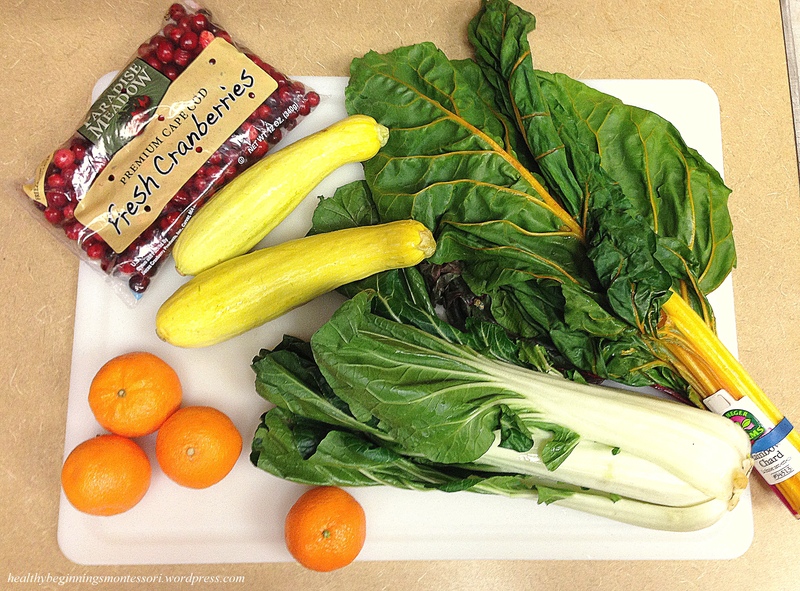 Fresh bokchoy, yellow squash, rainbow chard and naval oranges and clementines provided by one of our friends in their weekly fruit and vegetable basket. 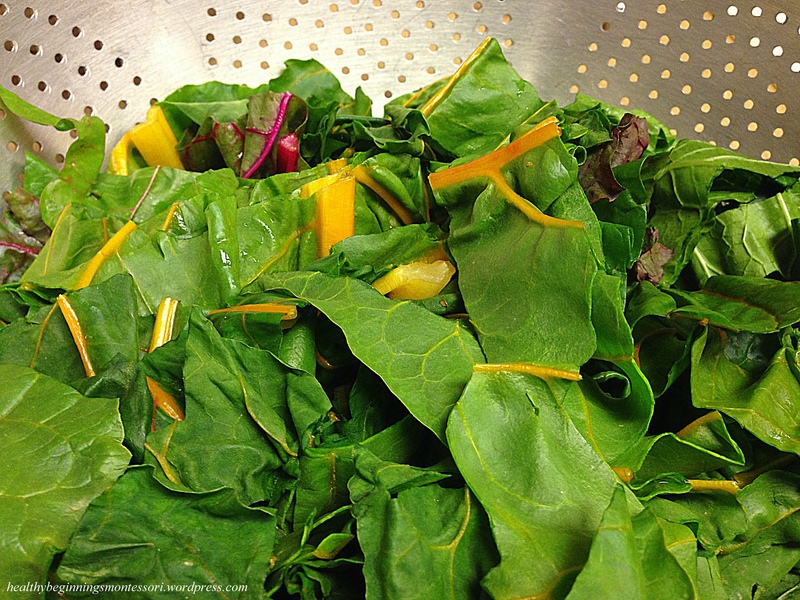 Tasty rainbow chard salad, sauteed with olive oil. 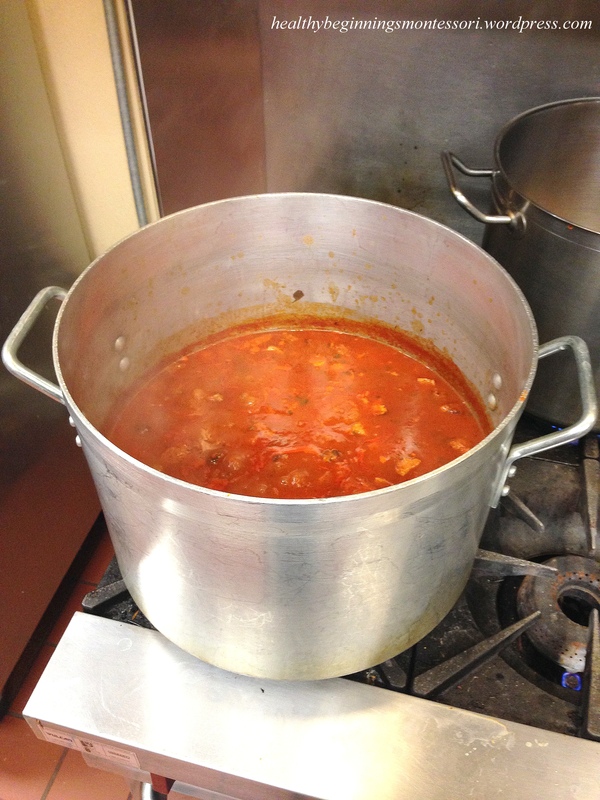 The source of the yummy smell that filled our school: tomato, vegetable and Italian sausage pasta sauce, made purely from scratch. 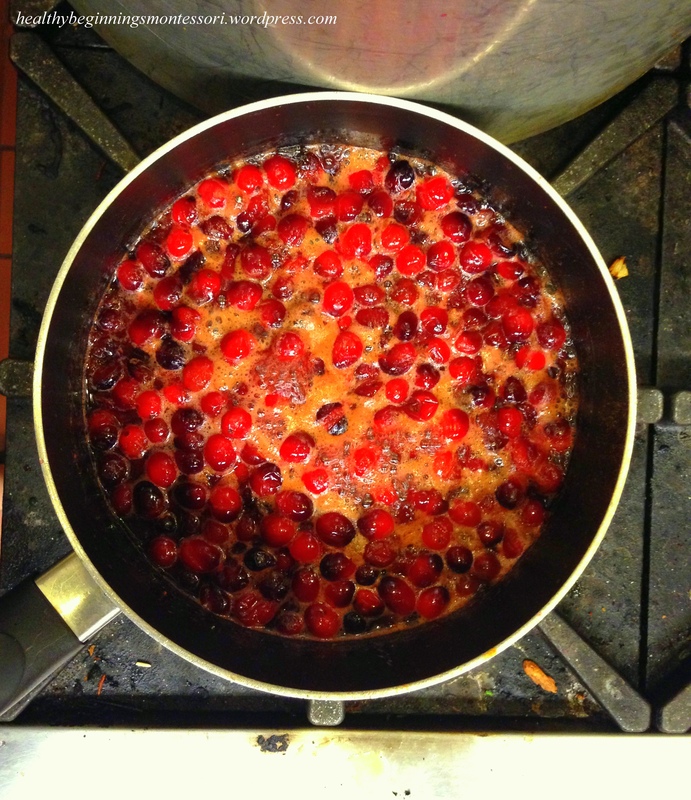 Cranberries marinating in a bath of apple cider and cinnamon, to be used later for apple cider! 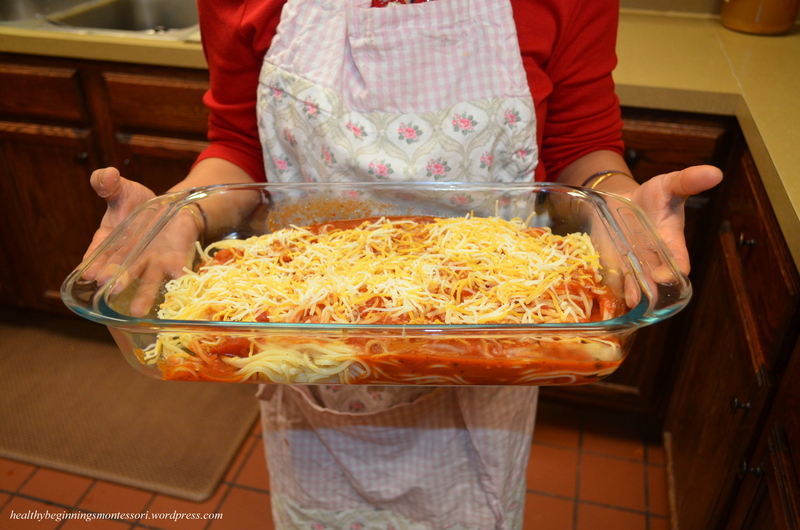 Baked spaghetti topped with shredded mozzarella and cheddar cheeses. 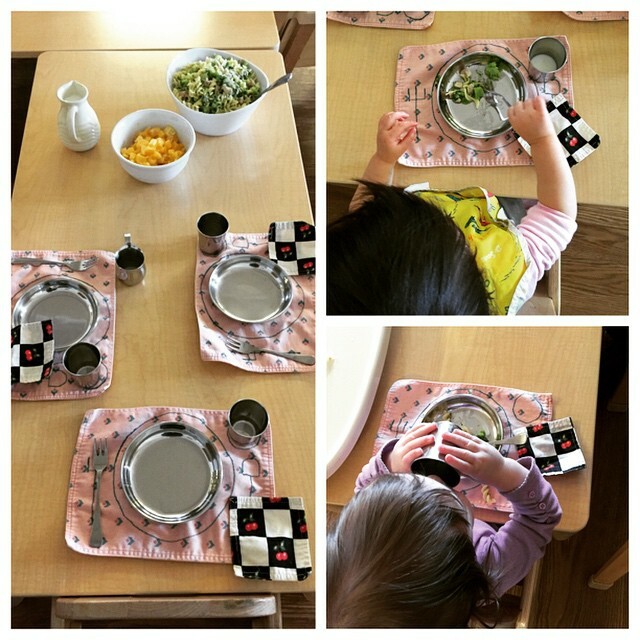 All of our meals are prepared from careful observation, assessing which foods the children do/do not like to eat. 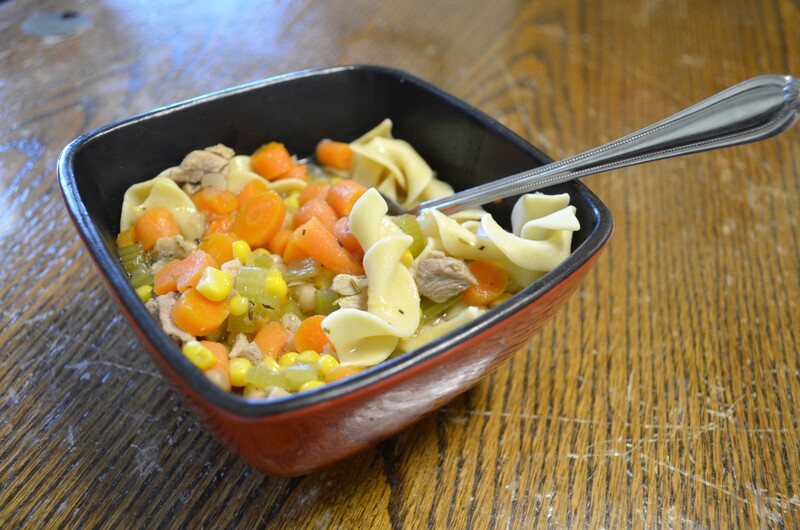 This meal proved to be a success, as with many of the other food we serve on a daily basis. Our young friends learn to appreciate a healthy diet through daily meals such as this, rich in nutrients, proteins and vitamins necessary to their young, growing bodies. There is a great deal of love served with each meal as well! 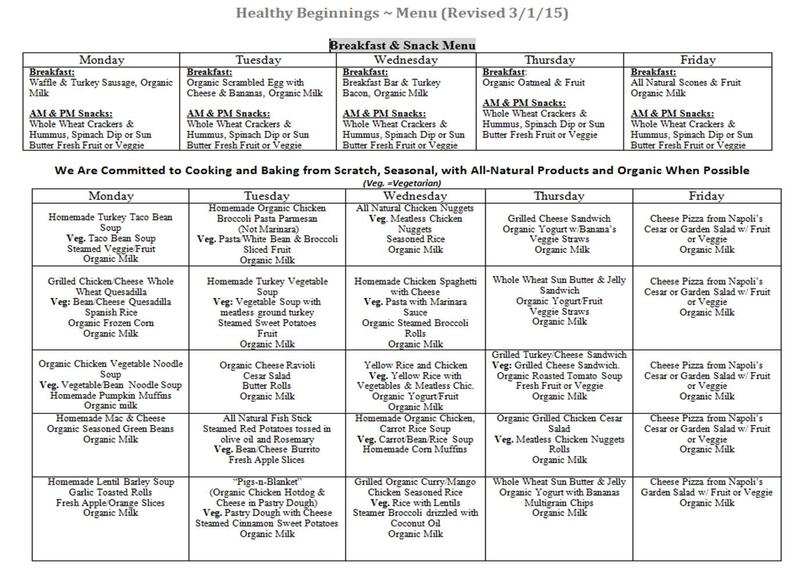 Tuesday’s lunch this week, healthy and organic! 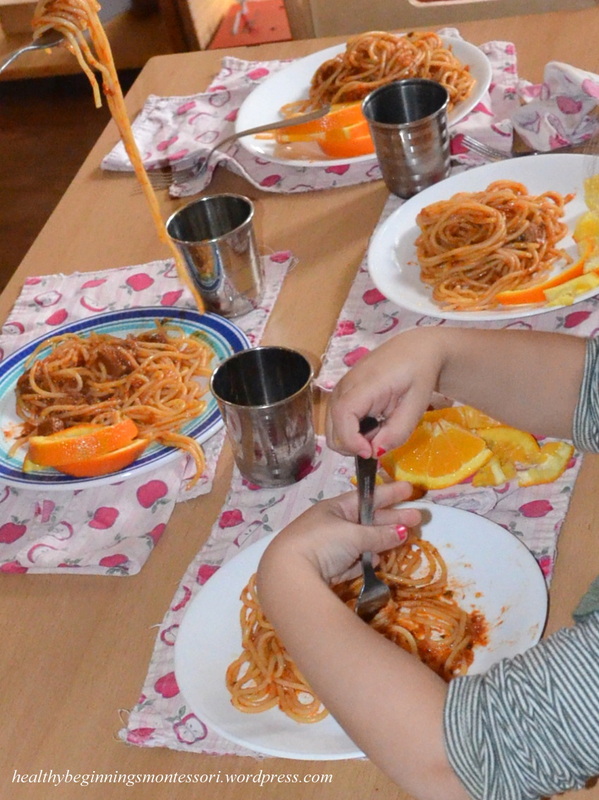 Our infant friends enjoyed organic chicken pasta with steamed broccoli and fresh orange slices with organic milk on the side. Yum! One of the best gifts we can offer our young ones is a healthy, nutritional diet from the start, building strong bodies and minds! 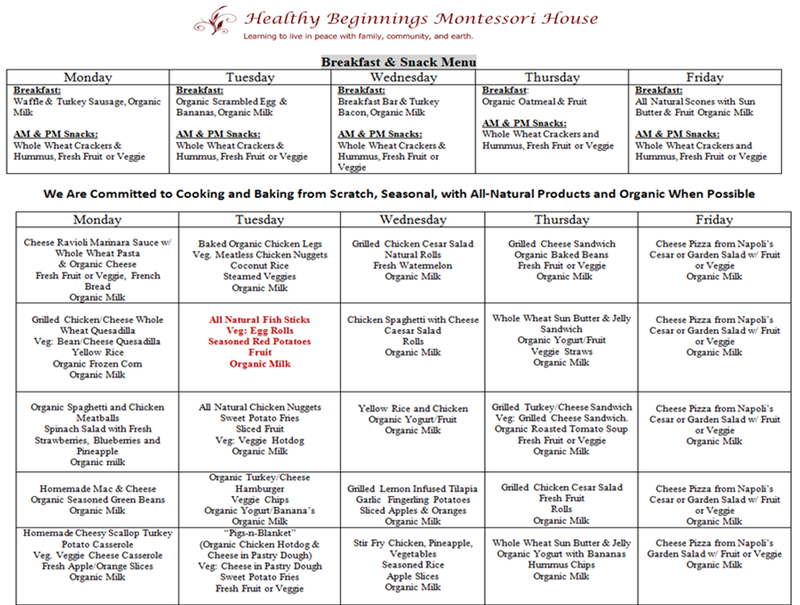 The staff at Healthy Beginnings Montessori House believes that healthy and wholesome diets produce healthy and wholesome children. 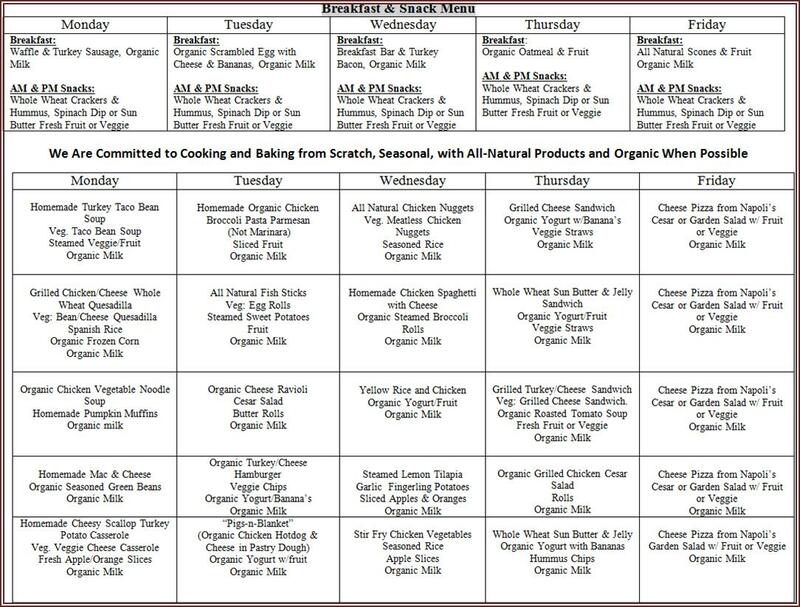 Our lunches and snacks are prepared fresh daily from nutritionally balanced organic local ingredients.